Dr. Gannon has had three decades of experience teaching medical students at various stages of the program, including the post-graduate residency and fellowship research training and surgical skills programs. His research findings have been selected for publication as 75 peer-reviewed articles in top journals and as 123 conference abstracts. He is actively involved with multiple professional organizations, including the International Association of Medical Science Educators; Association of Medical Educators in Europe; American Association of Medical Colleges; American Association of Anatomists; and American Association of Physical Anthropologists. Dr. Gannon has a distinguished career that spans medical education, science and medical administration, language research and clinical translational research. 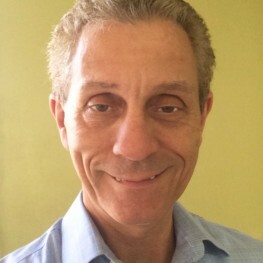 A native of Leeds, U.K., Dr. Gannon attended the University of Central London and was recruited at Mount Sinai Medical Center, New York City, in 1979 as a post-bac research associate and became a U.S. citizen in 1985. He completed his graduate and doctoral education in physical anthropology/neurobiology at Hunter College (MA, 1990) and the Graduate Center of the City University of New York (CUNY). Following doctoral graduation from CUNY in 1995, Dr. Gannon joined the faculty at Mt. Sinai School of Medicine, Department of Otolaryngology, where he served as Director of the Language Neurobiology Research Laboratory and Co-Director of the Otology and Rhinology Translational Research Programs. In recognition of outstanding research contributions, he was appointed as a Lifetime Research Fellow of the American Association of Otolaryngology Head and Neck Surgeons (AAOHNS) in 1995. He continues as an Adjunct Associate Professor of Otolaryngology. Commencing 2009, he served as the Founding Chair and Professor of the Department of Science Education at the new Hofstra Northwell (previously, North Shore Long Island Jewish) Medical System School of Medicine, where he continues as an Adjunct Clinical Professor..